Music has always been important in Afghanistan, where it plays a central role in both everyday life and on special occasions. But music is not only a matter of culture – it can also be political, as this portrait of a revolutionary musician attests to. 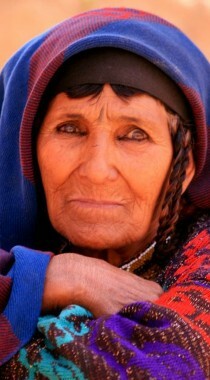 55-year-old Sultani is a popular singer in Afghanistan. He masters his traditional, two-stringed dambora to perfection, and the two of them have fought more than one enemy together over the years. Those lines are from Sultani’s early career as a revolutionary singer – from the 1980s, when Afghanistan was occupied by the Soviet. “During the Russian invasion, I encouraged all the mujahideen fighting against the Russians“, he says. A mujahid is a holy warrior, who has been granted permission by Allah to go to war to defend himself and his country – in this case against the Russians. 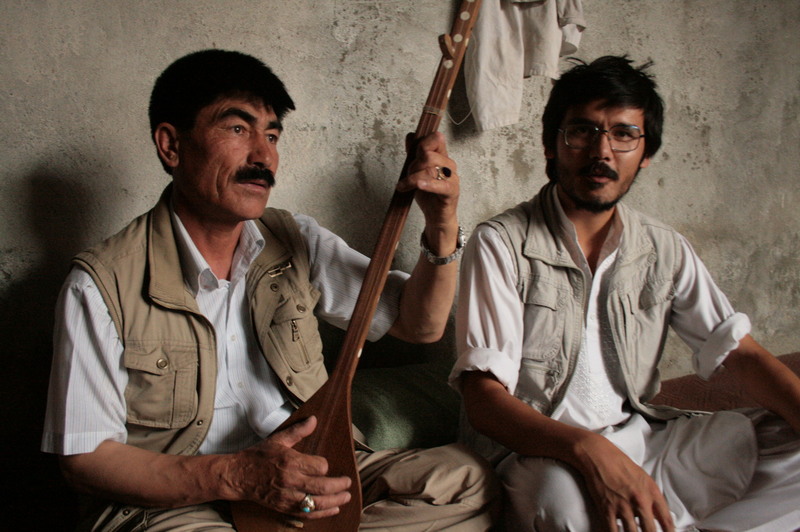 “I did not restrict the blessings, gratitude and praise of my songs to the Hazara mujahideen”, Sultani says. “It was also for the mujahideen from other ethnic groups“. However, when the Russians withdrew from Afghanistan in 1989 after ten years of occupation, the mujahideen could not agree on who should run the country. 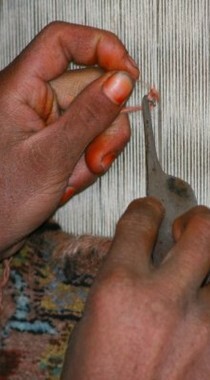 The dispute ended in civil war, which continued until the Taliban took power in the mid-1990s. 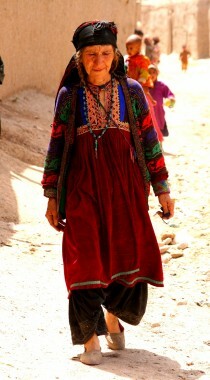 “At that time, before the Taliban entered the scene, I only sang encouraging songs for the Hazara soldiers. They went to war to defend our rights and we were proud of them. Through those songs, we could tell them that they were not alone out there. That they had an entire people behind them“. “We held concerts where soldiers and generals came to hear songs written for them. Those songs gave them hope and energy to continue the war. 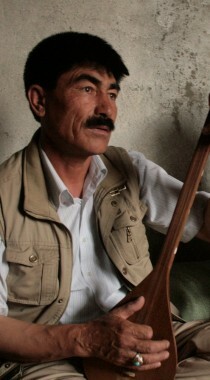 You can communicate through music in an entirely unique way – something which you cannot achieve through letters or conversation“, Sultani says. In 1995, he took his dambora and fled Kabul, which was then in the process of being taken over by the Taliban. 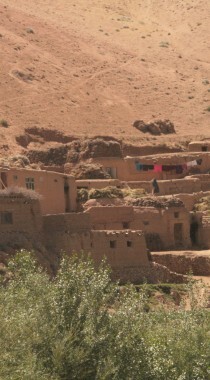 He went to live in Bamiyan – a relatively big town in central Afghanistan, surrounded by mountains and valleys and primarily inhabited by Hazaras. Sultani’s musical crusade made him fair game for the Taliban, however, and in 2001 he was forced to escape to Pakistan to save his life. This, too, would leave a mark on his lyrics. “In the neighbouring country, I changed the subjects of my music. The war tunes were replaced by topics such as people, refugees, tradition and of course love,” the singer explains. One of the lyrics he wrote can be read in the gallery underneath. It is dedicated to the many refugees who have left their house and home for the West. Sultani recognises that the lyrics may appear provocative to Afghans in the West, but that is not his intention. Rather, the song is meant as a nostalgic praise of Afghan culture, he explains. After several years in the south of Pakistan, Sultani has now returned to Kabul and has opened a music store. He also teaches dambora on the side. “I cannot live off my music anymore, the way I could in the old days. That’s why I have the shop now, where I sell everything from Turkish soap operas to Indian movies and the newest tunes from the West. But I’m content, because I also teach new Hazara talents to play the dambora. I’m very pleased because last year’s winner of Sitara’e Afghan [Afghan Idol] is a student of mine”. It is our own tradition and customs which are good. It is our own pots in smoke-filled kitchens which are good. Other people dream of London and Sydney. But for us, it is our houses of clay and gardens which are good. Other people apply powder and colourful lipsticks. But for us, it is our dry cheeks and lips which are good. Others copy tunes and rhythms from Western songs. But is is our own guitar and dutaara, which are good. Others tend to copy Indian clothes and fashion. But our own embroidered collar and round dresses are good.